My mom, dad and I have been out searching for the elusive, beautiful sea glass, on the beaches in the Puget Sound areas of Washington. Some days we find a lot and some days just a few pieces here and there. My dad has been doing more of the treasure hunting lately and has found some amazing pieces with the prettiest, pastel colors. Even some rare colors that are hard to come by. He has a lot to work with and will be adding more pieces here and there. So be sure to check out the shop frequently. 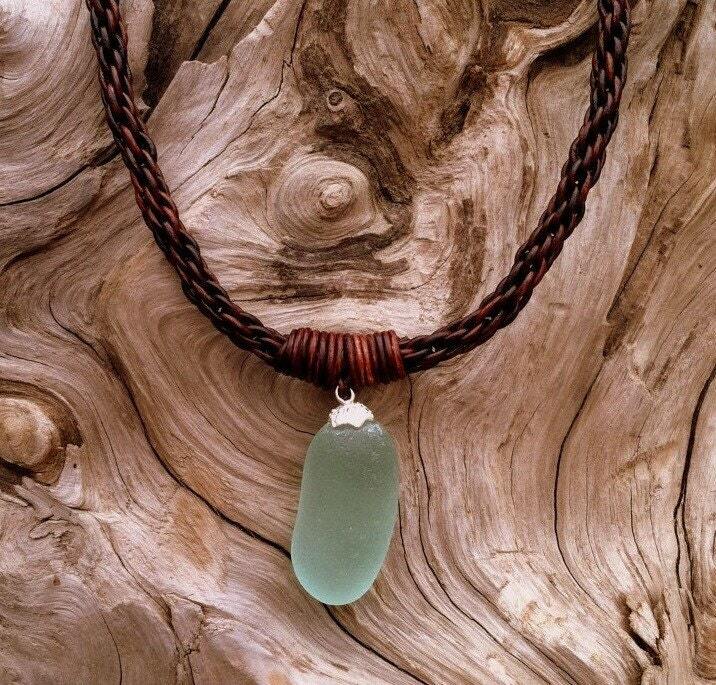 This leather braided, sea glass necklace that my dad made, has the awesome aqua hues that pair so prettily together. 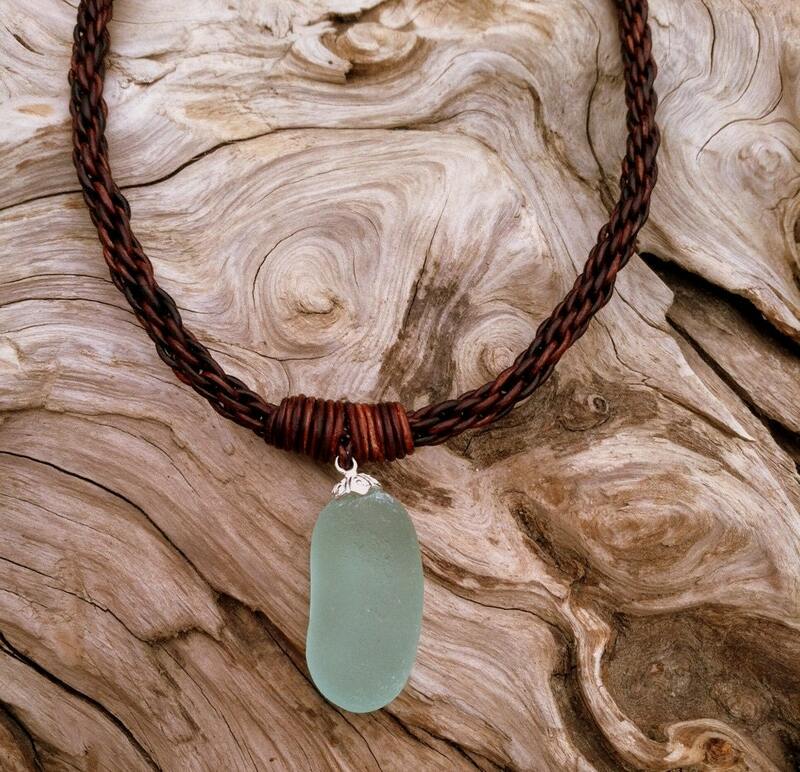 The sea glass piece is about 1 1/2" long and 3/4" wide. The necklace is 18" long. A unique piece that will be an amazing addition to your jewelry box or a superb gift to someone special.